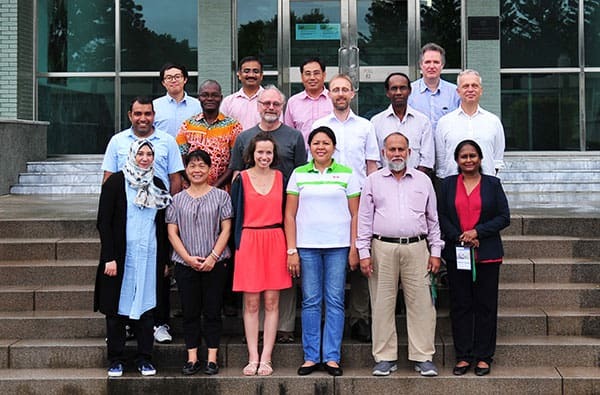 The World Vegetable Center invited partners from the Crop Trust’s Eggplant and Carrot Pre-breeding Project teams to meet and discuss their progress at WorldVeg headquarters from 2-5 July 2018. Through pre-breeding, researchers strive to identify desirable traits and genes of interest in wild relatives of cultivated crops, and make crosses to ensure the traits and genes are incorporated into intermediate breeding lines. 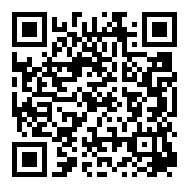 Those lines then can be used by plant breeders to improve crops for the benefit of farmers and consumers. 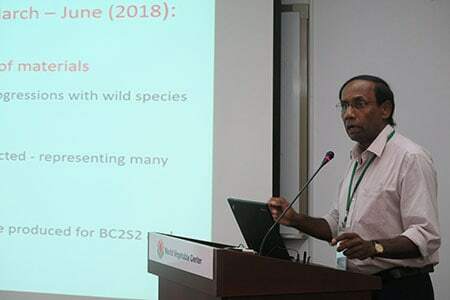 Project participants from Bangladesh, Côte d’Ivoire, Sri Lanka, Spain, USA and Taiwan, and representatives from seed companies in France and Thailand reviewed their pre-breeding activities to expand the number and availability of traits, particularly for adaptation to climate change. The Crop Trust—the global organization that operates the Svalbard Seed Vault and conserves crop diversity to protect global food security—currently sponsors 19 pre-breeding projects, including eggplant and carrot. All the food crops we produce were developed by selection and breeding for specific characteristics. Maybe farmers wanted a taller cornstalk for easier harvesting, or consumers preferred a rounder, firmer eggplant. In securing those qualities, however, other important properties such as drought tolerance or resistance to a particular pest were “lost” or bred out of many cultivated crops, narrowing their genetic makeup. Wild relatives of cultivated crops carry important genes: for heat tolerance, resistance to disease, high levels of specific nutrients, color, taste, shape—even traits we may not yet be aware of. The trick is getting that vast genetic diversity into the hands of plant breeders. Genebanks hold many different variations of crop traits farmers still use. They also conserve traits farmers no longer require, traits never previously used by farmers, or traits that have not yet been discovered. But this diverse pool of genetic material may never be used in breeding programs to improve crops. There are several reasons why: Some accessions have narrow environmental niches or are unsuitable for agronomic needs. Adequate quantities of seed may not available in a timely manner. And without accurate documentation and descriptions of an accession’s characteristics for breeders to consult, the value of a genebank collection to breeders is greatly diminished. Working with accessions directly from a genebank can be challenging for breeders. Pre-breeding efforts to do the early work of trait selection, providing breeders with better and more diverse materials to develop crop improvements.